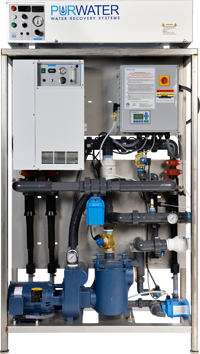 Our spot-free rinse and water reclaim systems are designed with cutting edge technology, reliable performance. 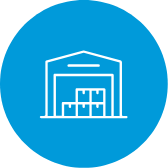 We go a step further and offer superior technical services and support throughout the life of the product. Optimized for water conservation and efficiency, PurWater™ and PurClean™ use world-class engineering to ensure the highest quality and reliability in all of our products. All models meet and exceed all OEM pump manufacturer’s warranty requirements. Looking for the right choice for your specific water reclaim & spot free water needs? 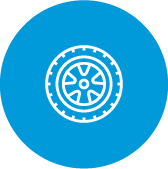 Our PurClean™ and PurWater™ portfolio serves a variety of automotive industries by helping them conserve water, reduce costs, and increase profit. 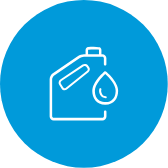 PurClean™ Spot-Free Rinse Systems remove all contaminants from the water supply that if otherwise left untreated would result in unsightly water spots. 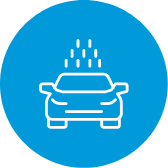 Pure mineral-free water delivered to the vehicle as a final rinse allows the entire vehicle to dry perfectly spot-free, removing the need for costly and labor-intensive hand drying. 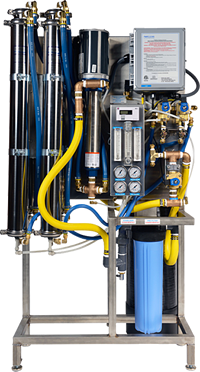 Dramatically reduces your water and sewer costs by 60% or more* while delivering a high-quality wash through the PurWater™ unique water recovery system. 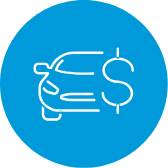 With payback periods as soon as six months, start putting money back into your pocket today! Our sales and service team is happy to connect you with an approved distributor in your geographical area once you've made your decision to purchase a PurClean or PurWater system. We'll do the heavy lifting of connecting you with our network of factory-trained distributors to make your water recovery and spot free rinse installation a reality.